Big Queer and Allied Brasspunk Clusterfolk! Dress warm we might take it outside! 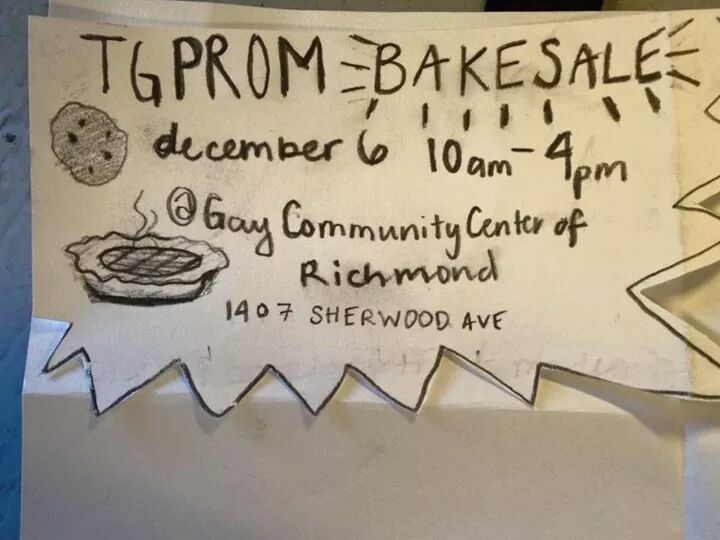 Support Transgender Prom at Bakesale today!! 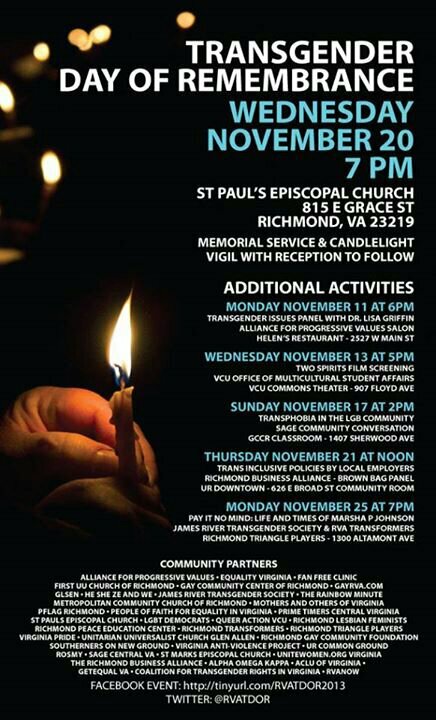 Hope to see some of yall there to support the trans* community in Richmond!! The TG Prom is an annual event for anyone who identifies in any way as trans* and for anyone who supports trans* identities. It seeks to continue providing a safe, non-judgemental, and fun space for trans* people and their allies to meet and make friends. It seeks to promote a culture that acknowledges and accepts without hierarchy or judgement all forms of trans* identity. It acknowledges and supports the right of trans* people to determine their own needs and seeks to provide financial assistance as much as possible in meeting those needs without condition. It seeks to provide a space that showcases trans* talent and performers who have far too often been overshadowed or represented by drag performances within the LGBT community. It seeks to promote a visible trans* community so that trans* identities may stop being a source of stigma and shame, so that dangerous stereotypes are shown to be untrue, and to attract more allies and supporters to trans* causes. we are trying to raise money to secure and throw the TG Prom at the GCCR. A recent new policy by the Virginia High School League sounds good, but the reality is that it is still transphobic. Big changes to the way sports go down in this country are necessary to include everyone from around the gender sphere! At this moment 16 Immigrant Rights, Racial Justice and LGBTQ leaders in Georgia (including SONG Founder Suzanne Pharr, Co-Director Caitlin Breedlove, and Board Member/Co-Director of Project South, Stephanie Guilloud) are participating in a non-violent civil disobedience at the U.S. Immigration Court in Atlanta, GA to stop today’s deportations. These brave leaders have locked arms to demand Obama puts an Immediate End to Deportations and Detentions and the violent policies of Immigrations and Customs Enforcement. Together they demand #not1more. Immigrant people, people of Color, and LGBTQ often live lives filled with violence, fear, and isolation. We are central to the fabric of our communities and our economy. We deserve so much better. People being deported at this time in the US are the people who wash our dishes, pick our vegetables and build our houses. We need to honor their work and their lives, not rip them out of their communities. United in the vision of what is possible for all of us beyond our fear when we are willing to take shared risk, this group has chosen to put their bodies on the line to demand an end to the fear mongering and caging of our family who is undocumented. Over 2.2 million individuals have been deported during Obama’s presidency and thousands languish in detention right now. More than 276,000 undocumented LGBTQ immigrants are living in fear in the US today. Our communities cannot afford to wait. Si se puede!!! SONG is reaching out to ask for your support. Our movements badly need moments of shared risk to build our integrity across lines of race, class, culture, gender and sexuality. Our communities are sitting in fear, violence and cages. SONG along with one of our closest organizational partners, The Georgia Latino Alliance for Human Rights (GLAHR) is partnering with the Not1More campaign to hold a major rally and press event to call on President Obama to end deportations and show that LGBTQ people are deeply a part of the fight for immigrant communities to live free of violence and fear. WOULD YOU BE WILLING TO HELP? 1. Could you write a Blog or Op/Ed telling your own story about why this is important to you, using our talking points? 2. Would you join our twitter campaign (goal—100 tweets to @MHarrisPerry and @MHPShow) to ask Melissa Harris-Perry, MSNBC TV host, to have Paulina Helm-Hernandez (SONG Co-Director) on her show to tell their viewers that it is PAST TIME to unite the fight for lives of LGBTQ people with the fight for the lives of immigrants and people of Color and the poor. We are uniting and have been. More people just need to know!!!! 4. Want to make a donation to legal fees or bail fund for leaders? Please go to www.notonemoredeportation.com for evolving information about how to give. 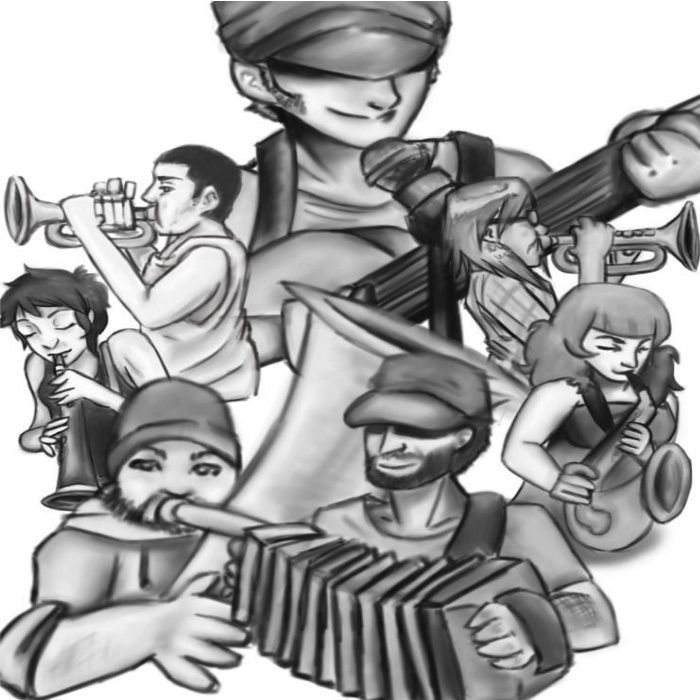 SONG envisions a sustainable South that embodies the best of its freedom traditions and works towards the transformation of our economic, social, spiritual, and political relationships. We envision a multi-issue southern justice movement that unites us across class, age, race, ability, gender, immigration status, and sexuality; a movement in which LGBTQ people – poor and working class, immigrant, people of color, rural – take our rightful place as leaders shaping our region’s legacy and future. We are committed to restoring a way of being that recognizes our collective humanity and dependence on the Earth. Virginia Pride is September 28th, and we think there should be a queer pride march as part of it, if you have ideas and want to organize to resist assimilation, address issues of intersectionality not addressed by mainstream pride events (immigration, youth, poc, homelessness, addiction, non gender binary, trans rights, etc.) holler at us at The Wingnut Anarchist Collective. we will figure out a meeting in the next few weeks maybe of interested parties. pink bloc wont stop. 9 new queer books, and 2 other new books in the Wingnut Radical Lending Library! Please be in touch if you want to volunteer for Open Hours or donate anarchist, radical, or queer books to us! Recent Additions to the Wingnut Radical Lending Library! Here are 24 new titles in our library! Check out our other recent post about our re-organization and need for volunteers to run Open Hours!